We pride ourselves on designing and constructing the most stunning patios. 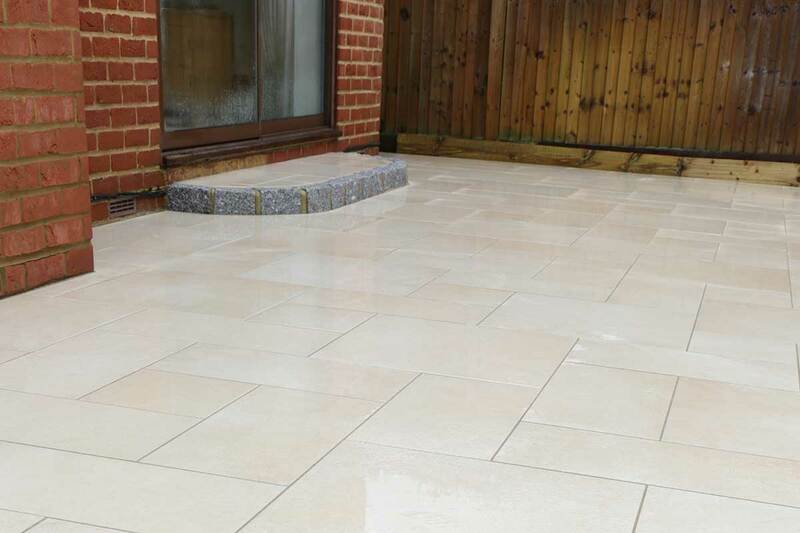 We are a Bradstone Assured Installer, giving you the peace of mind that the products and our workmanship is quality assured by one of the leading manufacturers of garden and driveway products. Whether it be a small space or a large project we are keen to work with you planning your ideal result. We understand this can be a daunting project so the starting point is to visit you to run through a free, no obligation quotation. The visit is very much a two way approach and an ideal opportunity to talk through the many options available and maybe a chance to create a new one! We specialise in natural stone and porcelain. We feel these are the most versatile and beautiful materials to create an exquisite outside space at a reasonable price. With many colours, shades and patterns, there is always one to suit your garden. If you prefer to use a different material we have completed many projects using alternative products. We are happy to discuss your choice, show examples of our work and how we can work with it to give you the best outcome, at the time of quoting. So, will yours be square, curved, round, raised up, sunken down, incorporating a step or staircase, be surrounded in a choice of edging, etc? The possibilities are endless. Your driveway is the first welcome to your home, which is why it has to be just right. Do you go for a shingle or a block paved, a pattern or shape, edged in natural granite, add raised beds, etc? With a wealth of experience, we can help and offer advice on the best choice for you. This would start at the point of visiting you to run through a free, no obligation quotation. We ensure that with excellent preparation and base, whichever option you choose will be the most practical, sturdy and attractive one. Our reputation and quality of work is renowned – so much so we were awarded the opportunity to create a display section in various block-paved styles at the Wyevale Garden Centre, Winnersh so please pop along to have a look (and maybe even pick up a sample!) and take the time to chat with the guys in the landscaping centre who we are sure will offer you an unbiased opinion of our work. Driveway Extension is a common request from our customers when requiring additional parking space. We have a good range of suppliers that enable us to source the closest match possible to your existing block. Driveway Repairs are regularly undertaken by our team. Being experts in the construction of good quality long lasting driveways, gives us the knowledge to diagnose the repairs required to fix your problem. If you are looking to lose those unsightly dips where the drive has sunk and a puddle collects every time it rains (which is usually where you step into when you are carrying something heavy or running late! ), then we will be able to help. 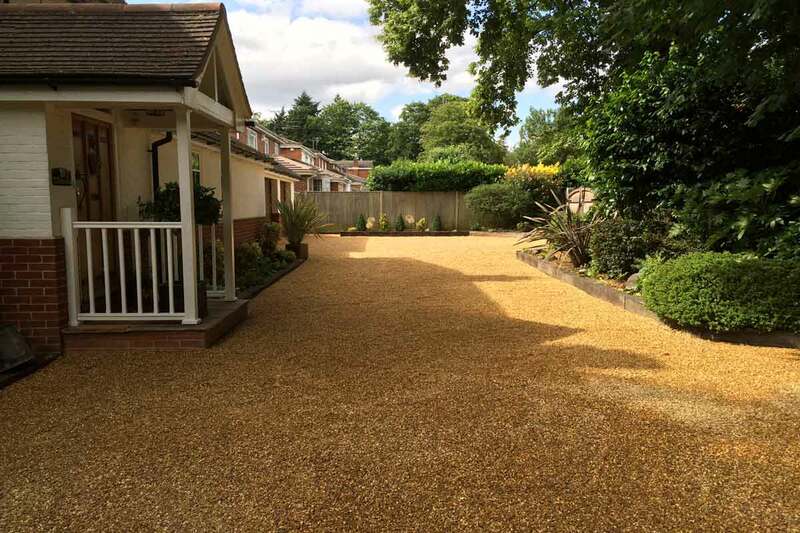 Shingle driveways look as good as new when refurbished too! Professional Cleaning of block paving can look as good as new in no time! By using our own professional pressure cleaning machine and re-sanding can make the driveway you left in the morning look completely fresh when you return. 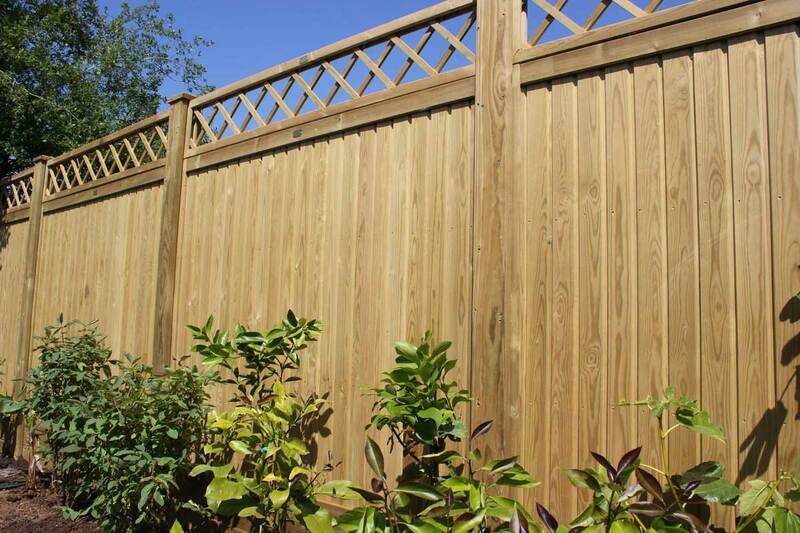 We have a specific highly skilled team which undertakes all types of fencing, from simple repairs to supply and construction of new fences. You have your garden just the way you want it but the one thing that lets it down is the luscious green, healthy lawn….. or the lack of it! It’s all in the preparation – we go through a proven process to prepare the surface. Then comes the transformation – we work with a network of suppliers to ensure that we lay the best grade turf for the garden conditions. 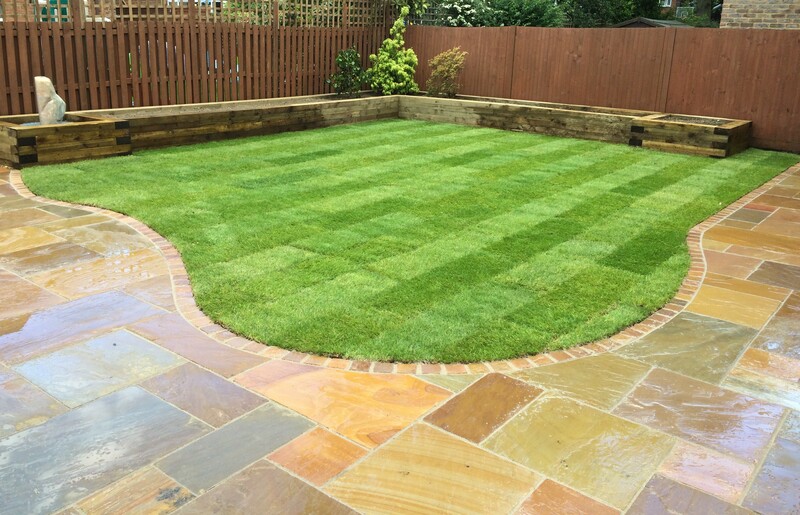 The finishing touch – if the healthy lovely green grass isn’t enough, we like to lay it with the stripes showing off your garden from day one. All you need to do is add water! We have also been known to lay artificial grass for a cricket practice area! We offer a number of additional services which may not be detailed in our other pages but we know are just as important to complete your garden project. We have a wealth of experience in creating the following and rest assured these are carried out to the same high standard of which we are renowned for. Have we missed something? Don’t worry, give us a call and we will be able to help.